These types of books ALWAYS interest me and I'm so excited to get a copy to review for you soon! And a debut novel... I love seeing new work from fresh authors! Continue below for a synopsis, about the author AND where to purchase / how to enter the drawing to get a character named after you in his next book. The choices that make us are the same ones that break us—a fact that Pete Rivers, a convicted con artist, knows all too well. After a lifetime of tough choices gone wrong, he thought he faced his easiest decision to date. 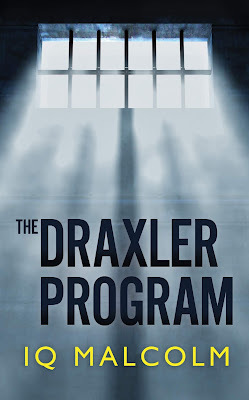 Enroll in the Draxler Program and keep his brain intact, or do nothing and accept the mandatory brainwashing at the end of his prison sentence. If only it were that simple. Rivers soon finds out the Draxler Program isn’t actually a criminal reform program. It’s a reality TV show, and he’s a contestant. Like him, his fellow contestants are convicted felons, and their lives now rest in the hands of the voting public. The winner gets to earn their freedom with their mind intact, and the losers face an early trip to the washer. Or is there a third choice? AND.... you have a chance to have a character in his next book named after YOU! TO enter, just click the amazon link above, purchase and send proof of purchase via email or DM to the author to enter! IQ Malcolm is the author of psychological thrillers and YA fantasy. 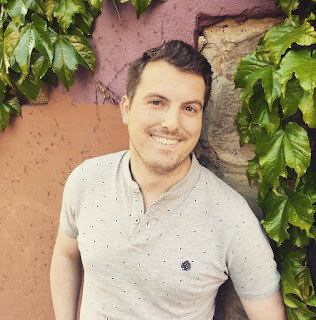 His debut novel, The Draxler Program, was published by Lost Umbrella Publishing in September 2018. When he isn’t writing, Malcolm enjoys spending his time with his lovely wife, playing with their goldendoodle, and hopelessly supporting Tottenham Hotspur F.C. despite the emotional pain they inflict on him. He lives with his family in Kenosha, Wisconsin.